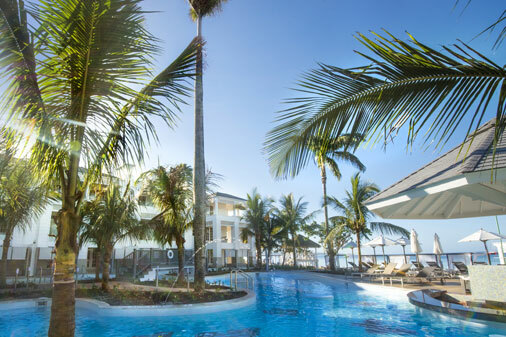 Sunwing is offering agents the opportunity to earn up to 8X STAR Agent Reward Points as part of a month-long promotion in partnership with Karisma Hotels & Resorts. Throughout January, agents will have the opportunity to learn more about the key features of Karisma’s line-up of top-rated properties. And, each time an agent makes a booking at a Karisma property they will earn a ballot for a chance to win an all-inclusive vacation for two with Karisma. Throughout January, agents will earn 8X STAR points on bookings for departures between Jan. 1 and April 30 to the following resorts: El Dorado Royale Riviera Maya, El Dorado Casitas Royal Riviera Maya, El Dorado Seaside Suites, EL Dorado Sensimar Seaside Suites, Generations Riviera Maya, Azul Beach Resort Riviera Maya, El Dorado Maroma Riviera Maya, Hidden Beach Au Naturel Resort, Sensatori Azul Beach Resort Jamaica, Sensatori Azul Beach Resort Mexico, Sensatori Resort Punta Cana and Nickelodeon. They will also earn 4X the STAR Points for bookings with travel dates between May 1 and Oct. 31. In addition, agents will receive double Karisma Canada Cash on bookings at select resorts, which can be converted to items such as gift cards. Customers can also take advantage of reduced rates, excursion vouchers and more at numerous Karisma properties.